(Irvine, California) – January 24, 2019 – Black EOE Journal (BEOEJ) today released the early results of its review of the nation’s Best of the Best Government and Law Enforcement Agencies; Insurance Companies; Financial & Banking Companies; Healthcare, Pharmaceutical & Biotech Companies and Utilities, Energy, Gas & Oil Companies. Black EOE Journal, now celebrating its 28th year of diversity, polled hundreds of Fortune 1000 companies for its 2019 Best of the Best evaluations. BEOEJ is one of the nation’s fastest-growing magazines, promoting the advancement of African Americans in all aspects of business and employment to ensure equal opportunity. The outstanding efforts toward this promotion make these companies leaders in the quest for true diversity, and we commend them all. The annual review is an evaluation of the nation’s employers, initiatives and government agencies. It provides non-biased results that are valuable resources for job-seekers, business owners, students, consumers, senior management, business associations, employment agencies and consumer groups. The goal of the annual evaluations is to not only bring the latest information and guidance to our readers, but also encourage active outreach and diversity policies among corporations and government agencies. The lists were compiled from market research, independent research, diversity conference participation and survey responses that were performed by DiversityComm’s agents and/or affiliates. This year, hundreds of companies and institutions participated. The results are published in the spring issue of Black EOE Journal and available on newsstands mid-April. Published by DiversityComm, Black EOE Journal is dedicated to promoting the advancement of multicultural women in all aspects of business and employment to ensure equal opportunity. Part 2 of our Best of the Best series, featuring Top Diversity Employers, Top Supplier Diversity Programs, Top MBA Programs and Top LGBT-Friendly Companies will be published in the summer issue, available mid-July. The fall issue will feature its Top Colleges and Universities published mid-October. DiversityComm also publishes HISPANIC Network Magazine, Professional WOMAN’s Magazine, U.S. Veterans Magazine, Diversity in STEAM Magazine and DIVERSEability Magazine. For more information about the annual Best of the Best survey or Black EOE Journal, please contact the research department at (800) 487-5099 or e-email surveys@diversitycomm.net . The Black EOE Journal (BEOEJ) is the African American career and business connection. Our mission is to be the epicenter of information utilizing our channels of distribution in print and digital media. 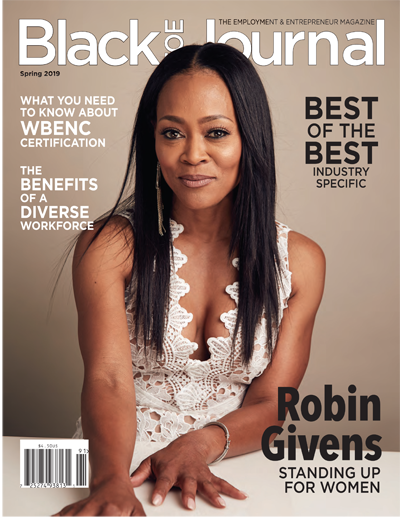 As one of the strongest growing African American publications in the nation, our mission is to inform, educate, employ and provide equal opportunity to corporate America in order to create a more diverse workplace. We provide the latest, most important diversity news, covering virtually every industry, business and profession. This includes up-to-date statistics on workforce diversity as well as business-to-business trends. We offer both recruitment and business opportunities, along with accurate, timely conferences and event calendars. And, just as important, we spotlight inspiring role models and notable mentors. BEOEJ is a WBENC and DOBE-certified. (Irvine, California) – October 15, 2018 – Black EOE Journal (BEOEJ) today released the results of its review of the nation’s Best of the Best HBCUs and Colleges & Universities. Black EOE Journal, now celebrating its 27th year of diversity, polled hundreds of nationwide institutions for its Best of the Best evaluations. BEOEJ is one of the nation’s fastest-growing magazines, promoting the advancement of African Americans in all aspects of business and employment to ensure equal opportunity. The outstanding efforts toward this promotion make these schools leaders in the quest for true diversity, and we commend them all. The goal of the annual evaluations is to not only bring the latest information and guidance to our readers, but also encourage active outreach and diversity policies among corporations and government agencies. The lists were compiled from market research, independent research, diversity conference participation and survey responses that were performed by DiversityComm’s agents and/or affiliates. This year, hundreds of institutions participated. The results are published in the fall issue of Black EOE Journal and available on newsstands mid-October. Published by DiversityComm, Black EOE Journal is dedicated to promoting the advancement of multicultural women in all aspects of business and employment to ensure equal opportunity. DiversityComm also publishes HISPANIC Network Magazine, Professional WOMAN’s Magazine, U.S. Veterans Magazine, Diversity in STEAM Magazine and DIVERSEability Magazine. (Irvine, California) – July 15, 2018 – Black EOE Journal (BEOEJ) today released the results of its review of the nation’s Best of the Best Top Employers; Supplier Diversity Programs; LGBTQ+ Friendly Companies & MBA Programs. Black EOE Journal, now celebrating its 27th year of diversity, polled hundreds of Fortune 1000 companies for its Best of the Best evaluations. BEOEJ is one of the nation’s fastest-growing magazines, promoting the advancement of African Americans in all aspects of business and employment to ensure equal opportunity. The outstanding efforts toward this promotion make these companies leaders in the quest for true diversity, and we commend them all. The results are published in the summer print and digital issues of Black EOE Journal and available on newsstands mid-July. Published by DiversityComm, Black EOE Journal is dedicated to promoting the advancement of African-Americans in all aspects of business and employment to ensure equal opportunity. The fall issue will feature its Top HBCUs and Colleges & Universities published mid-October. DiversityComm also publishes HISPANIC Network Magazine, Professional Woman’s Magazine, U.S. Veterans Magazine, Diversity in STEAM Magazine and DIVERSEability Magazine. We provide the latest, most important diversity news, covering virtually every industry, business and profession. This includes up-to-date statistics on workforce diversity as well as business-to-business trends. We offer both recruitment and business opportunities, along with accurate, timely conferences and event calendars. And, just as important, we spotlight inspiring role models and notable mentors. BEOEJ is a WBENC and DOBE-certified company. (Irvine, California) – April 15, 2018 – Black EOE Journal (BEOEJ) today released the results of its review of the nation’s Best of the Best Government and Law Enforcement Agencies; Insurance Companies; Financial & Banking Companies; Healthcare, Pharmaceutical & Biotech Companies and Utilities, Energy, Gas & Oil Companies. Black EOE Journal, now celebrating its 27th year of diversity, polled hundreds of Fortune 1000 companies for its 2018 Best of the Best evaluations. BEOEJ is one of the nation’s fastest-growing magazines, promoting the advancement of African Americans in all aspects of business and employment to ensure equal opportunity. The outstanding efforts toward this promotion make these companies leaders in the quest for true diversity, and we commend them all. The results are published in the spring issue of Black EOE Journal and available on newsstands mid-April. Published by DiversityComm, Black EOE Journal is dedicated to promoting the advancement of multicultural women in all aspects of business and employment to ensure equal opportunity. Part 2 of our Best of the Best series, featuring Top Diversity Employers, Top Supplier Diversity Programs, Top MBA Schools, Top Disability-Friendly Companies and Top LGBT-Friendly Companies will be published in the summer issue, available mid-July. The fall issue will feature its Top Colleges and Universities published mid-October. DiversityComm also publishes Hispanic Network Magazine, Professional Woman’s Magazine, U.S. Veterans Magazine, Diversity in STEAM Magazine and DIVERSEability Magazine. (Irvine, California) – October 15, 2017 – Black EOE Journal (BEOEJ) today released the results of its review of the nation’s Best of the Best HBCUs and Colleges & Universities. Black EOE Journal, now celebrating its 26th year of diversity, polled hundreds of nationwide institutions for its 2017 Best of the Best evaluations. BEOEJ is one of the nation’s fastest-growing magazines, promoting the advancement of African Americans in all aspects of business and employment to ensure equal opportunity. The outstanding efforts toward this promotion make these schools leaders in the quest for true diversity, and we commend them all. (Irvine, California) – July 15, 2017 – Black EOE Journal (BEOEJ) today released the results of its review of the nation’s Best of the Best Top Employers; Supplier Diversity Programs; LGBT-Friendly Companies & MBA Programs. Black EOE Journal, now celebrating its 26th year of diversity, polled hundreds of Fortune 1000 companies for its 2017 Best of the Best evaluations. BEOEJ is one of the nation’s fastest-growing magazines, promoting the advancement of African Americans in all aspects of business and employment to ensure equal opportunity. The outstanding efforts toward this promotion make these companies leaders in the quest for true diversity, and we commend them all. The results are published in the summer issue of Black EOE Journal and available on newsstands mid-July. Published by DiversityComm, Black EOE Journal is dedicated to promoting the advancement of African-Americans in all aspects of business and employment to ensure equal opportunity. The fall issue will feature its Top HBCUs and Colleges & Universities published mid-October. DiversityComm also publishes HISPANIC Network Magazine, Professional Woman’s Magazine, U.S. Veterans Magazine, Diversity in STEAM Magazine and DIVERSEability Magazine. We provide the latest, most important diversity news, covering virtually every industry, business and profession. This includes up-to-date statistics on workforce diversity as well as business-to-business trends. We offer both recruitment and business opportunities, along with accurate, timely conferences and event calendars. And, just as important, we spotlight inspiring role models and notable mentors. BEOEJ is a WBENC-certified company. (Irvine, California) – April 15, 2017 – Black EOE Journal (BEOEJ) today released the results of its review of the nation’s Best of the Best Government and Law Enforcement Agencies; Insurance Companies; Financial & Banking Companies; Healthcare, Pharmaceutical & Biotech Companies and Utilities, Energy, Gas & Oil Companies. The results are published in the spring issue of Black EOE Journal and available on newsstands mid-April. Published by DiversityComm, Black EOE Journal is dedicated to promoting the advancement of multicultural women in all aspects of business and employment to ensure equal opportunity. Part 2 of our Best of the Best series, featuring Top Diversity Employers, Top Supplier Diversity Programs, Top MBA Schools, Top Disability-Friendly Companies and Top LGBT-Friendly Companies will be published in the summer issue, available mid-July. The fall issue will feature its Top HBCUs and Colleges published mid-October. DiversityComm also publishes Hispanic Network Magazine, Professional Woman’s Magazine, U.S. Veterans Magazine and Diversity in STEAM Magazine, along with its newest publication, DIVERSEability Magazine. We provide the latest, most important diversity news, covering virtually every industry, business and profession. This includes up-to-date statistics on workforce diversity as well as business-to-business trends. We offer both recruitment and business opportunities, along with accurate, timely conferences and event calendars. And, just as important, we spotlight inspiring role models and notable mentors. BEOEJ is a WBENC-certified. (Irvine, California) – October 15, 2016 – Black EOE Journal (BEOEJ) today released the results of its review of the nation’s Best of the Best Top HBCUs and Colleges & Universities. 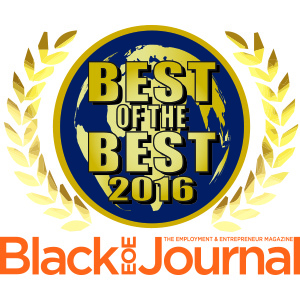 Black EOE Journal, now celebrating its 25th year of diversity, polled hundreds of Fortune 1000 companies for its 2016 Best of the Best evaluations. BEOEJ is one of the nation’s fastest-growing magazines, promoting the advancement of African Americans in all aspects of education, business and employment to ensure equal opportunity. The outstanding efforts toward this promotion make these educational institutions leaders in the quest for true diversity, and we commend them all. The annual review is an evaluation of the nation’s colleges and HBCUs diversity initiatives. It provides non-biased results that are valuable resources for students, future enrollees, job-seekers, senior management, employment agencies and consumer groups. The goal of the annual evaluations is to not only bring the latest information and guidance to our readers but also encourage active outreach and diversity policies among educational institutions. The lists were compiled from market research, independent research, diversity conference participation and survey responses that were performed by DiversityComm’s agents and/or affiliates. This year, hundreds of institutions participated. The results are published in the fall issue of Black EOE Journal and available on newsstands mid-October. Published by DiversityComm, Black EOE Journal is dedicated to promoting the advancement of African Americans in all aspects of education, business and employment to ensure equal opportunity. DiversityComm also publishes HISPANIC Network Magazine, Professional Woman’s Magazine, U.S. Veterans Magazine, Diversity in STEAM Magazine and DIVERSEability Magazine. For more information about the annual Best of the Best survey or Black EOE Journal, please contact the research department at (800) 487-5099 or e-email surveys@diversitycomm.net. (Irvine, California) – July 15, 2016 – Black EOE Journal (BEOEJ) today released the results of its review of the nation’s Best of the Best Top Employers, Supplier Diversity Programs, Disability-Friendly Companies, LGBT-Friendly Companies and MBA Programs. Black EOE Journal, now celebrating its 25th year of diversity, polled hundreds of Fortune 1000 companies for its 2016 Best of the Best evaluations. BEOEJ is one of the nation’s fastest-growing magazines, promoting the advancement of African Americans in all aspects of business and employment to ensure equal opportunity. The outstanding efforts toward this promotion make these companies leaders in the quest for true diversity, and we commend them all. S.C. Johnson & Sons Inc. The goal of the annual evaluations is to not only bring the latest information and guidance to our readers but also encourage active outreach and diversity policies among corporations and government agencies. The lists were compiled from market research, independent research, diversity conference participation and survey responses that were performed by DiversityComm’s agents and/or affiliates. This year, hundreds of companies and institutions participated. The results are published in the summer issue of Black EOE Journal and available on newsstands mid-July. Published by DiversityComm, Black EOE Journal is dedicated to promoting the advancement of African Americans in all aspects of business and employment to ensure equal opportunity. Part 3 of our Best of the Best series, featuring Top Colleges & HBCUs will be published in the fall issue, available mid-October. DiversityComm also publishes HISPANIC Network Magazine, Professional Woman’s Magazine, U.S. Veterans Magazine and Diversity in STEAM Magazine, along with its newest publication, DIVERSEability Magazine. (Irvine, California) – April 15, 2016 – Black EOE Journal (BEOEJ) today released the results of its review of the nation’s Best of the Best Government and Law Enforcement Agencies; Insurance Companies; Financial & Banking Companies; Healthcare, Pharmaceutical & Biotech Companies and Utilities, Energy, Gas & Oil Companies.